Kenya inspires. Today, as for decades, nature lovers, wanderers, artists and writers are drawn to Kenya's dazzling wildlife, varied landscapes and rich cultural heritage. The snow capped peak of Mount Kenya overlooks the Rift Valley where thousands of zebras, wildebeest, and other animals make their yearly migration. The Rift Valley is home to a fantastic array of animals including elephants, lions, cheetahs, baboons, flamingos, and many more. 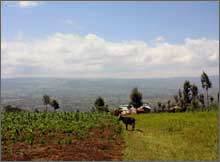 The Rift Valley is also known as the cradle of humanity. Humanoid remains dating back 6 million years have been excavated on the shores of Lake Turkana. 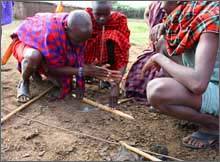 Pastoralist and agricultural tribes still live throughout Kenya, carrying on cultural traditions that date back thousands of years. And the Kenyan coast was home to Persian and Arab traders and continues to be a trading center of East Africa. These cultural and natural elements combine to create a fascinating country, ideal for a volunteer or internship experience. Even though the Kenyan economy is one of the fastest growing economies in Africa, many Kenyans are still facing incredible poverty. 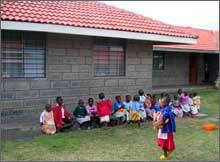 ELI partners with local organizations in Kenya devoted to bettering their communities to create volunteer and internship opportunities for international participants. Kenya is home to many strong and inspiring women, but many Kenyan women find themselves marginalized by lack of education, sexual violence, and limited opportunities. 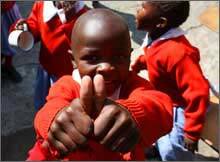 Volunteers can work with a women's center that provides support services for women in the largest slum of Nakuru. The center supports women by providing counseling, education, short term accommodation, vocational training, and a positive environment. Volunteers may teach English conversation, adult literacy classes, vocational training, basic financial literacy, and also support the women in their group meetings. Legal issues vary widely in different areas of the world. The Court Systems are not always as efficient, organized, and fair in some countries. For this reason, experience in a legal internship in another country provides valuable insight into the workings of Justice issues both at home and abroad. The International Work Camp Program is a low-cost alternative that gives volunteers the opportunity to work on a three week long project with other volunteers from all over the world. 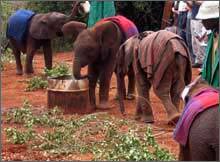 The projects are organized by the Kenya Voluntary Development Association and serve all areas of Kenya. Volunteers meet in Nairobi for a 1-day orientation before heading off to the work camp site as a group. 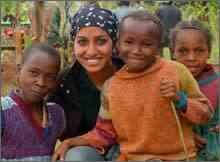 We work with many other organizations worldwide to provide volunteers for these projects. Additional $50 per month for hospital and clinic fees. The Kenyan government requires all volunteers to get a permit from the local immigration office. The permit is approximately US$150 per month (15,000 Kenyan Shillings). 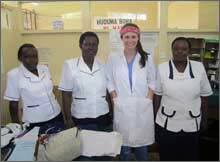 Volunteers in Kenya stay with local host families. ELI truly believes that this is the best way to fully immerse in another culture and get the most from an international experience. All families are carefully screened and are well-respected members of the community with at least one family member who speaks English. Participants will have either a private or shared bedroom with secure storage (volunteer must provide own padlock). Bathrooms are shared with the host family. Volunteers will be provided with breakfast and dinner daily. Please note that accommodation with the International Work Camp Program will be in group living situations. Start dates are completely flexible, but we ask that volunteers arrive in Nairobi on a Saturday or Sunday if possible in order to start working on Monday. We ask that participants not arrive December 23-January 1 in order to allow our coordinator and staff to spend the Christmas holiday with their families. Participants will fly into the Jomo Kenyatta International Airport in Nairobi. You will be met at the airport and driven to Nakuru, about a 3.5 hour drive. Here's a handy tool to see what time it is in Nakuru: Time Conversion Tool. Check the Weather in Nakuru. There is so much to see and do in Kenya... Once you have exhausted the usual tourist destinations, here's a great list of recommendations for the Top 10 Things to do in Kenya..